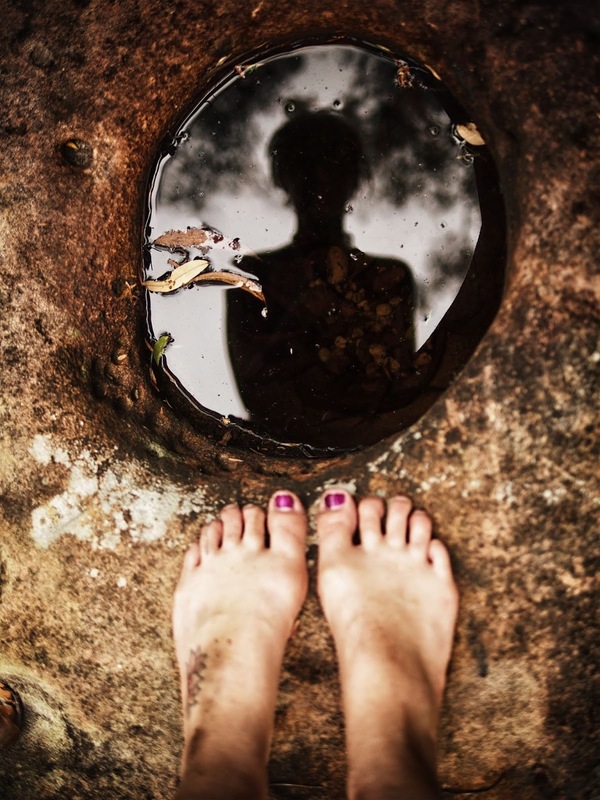 We see transformation all around us, reflected in the seasons. The leaves change. The birds head south. The chill lets us know the cycle of death and hibernation is upon us. Yet our internal changes are not so obvious. Sometimes we don't even notice the shift until the world around us starts to feel foreign. We can feel strange in our familiar places. Perhaps we feel detached from the people we love, unable to shake the experience of being on the outside looking in. Our external changes (jobs, relationships, living spaces) tend to bring relatable tensions we openly discuss with each other, but the deeper shifts that call into question of who we are, who we see in the mirror and why we are here is a terror hard to speak to. How do you utter the words I don't know who I am anymore without people looking at you like you need medication? I've been through several cycles of standing on the edge of something I didn't think I could handle. All of my reconfigurations have been necessary, and in hindsight blessings, but the struggle to feel at ease within my own skin is a deeper test of embracing uncertainty. I was feeling this disconnection for quite some time before my trip to Asia and though it sounds cliche, there is something valuable about running away to find yourself. I went about as far as I could for as long as I could afford. I traipsed off to be a writer in Ubud. Met a Brazilian surfer. How Elizabeth Gilbert of me. 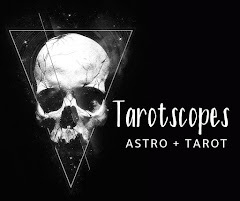 I conducted 20 tarot readings in 30 days, held space for others in their uncertainty, reflected their stories and energies, allowed tears and sighs of relief. I remained open and allowed the unexpected. I got three tattoos. I made some valuable mistakes and found myself walking through pain I was unprepared for. The strangers I met quickly became family and their stories fed my soul and enlightened my perspective. There's so much more I could write about - but it will have to wait. Bali offered me some breathing room. I began to see how small I allowed my world to get and the choices I made from the illusion of my lack of choice. I began to feel so alive, so present and so accepting of the uncertainty that I didn't want to return home. In fact, it felt like I was going to wilt and die if did. I cried for days, openly, at the kombouchca bars, the yoga studios and the beach. I couldn't lose myself again. I couldn't go back to sleep. Returning home has been incredibly difficult. There remains a surreal out-of-place feeling that has endured beyond the jet-lag and natural low of missing paradise within the November blahs. Seeds have been planted, but remain unseen and unknown below the surface. My life has shifted in unexpected directions - more on that later - but what I want to tell you is that it's hard to lose touch with yourself and it's also a sign of the most important growth we can allow. I am still integrating and having to do the unglamorous work of enacting changes: showing up differently, living aligned with my values, chopping wood and carrying water until the next step is clear. These unsettled moments are ripe for fact-finding missions. It's an excellent time to surround yourself with new people, new situations, new climates. If you need the escape then by all means, GTFO, but remember wherever you go - there you are. The work still needs to be done. 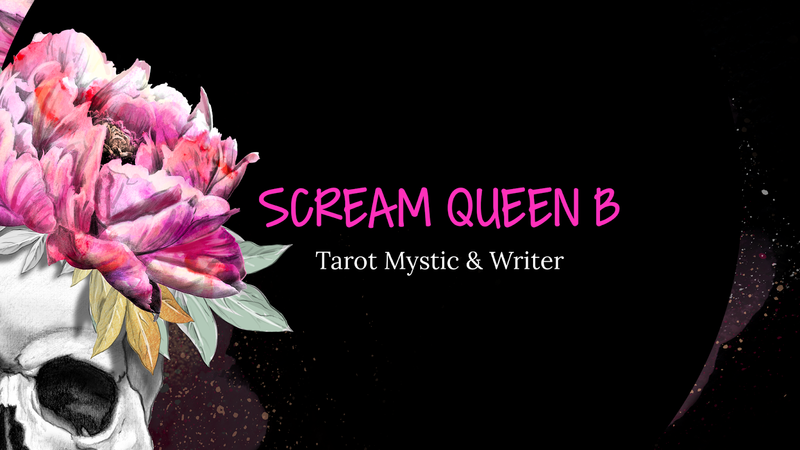 © Scream Queen B Tarot. All rights reserved.